I am always on the hunt for new shoes. In our current living situation I don’t even have enough storage space for the shoes I already have (I’ll admit I have a lot) but I can’t resist getting new pairs of shoes. I know I’m amongst many fashionable ladies who have this problem. I recently joined ShoeMint. I have no idea why it took me so long to signup, but I finally did; now I’m in trouble. If you have a shoe shopping problem I recommend that you do not join. Your wallet will thank you. Anywhoo, after filling out my profile these beauties (for less) popped up on the screen. They are fairly close to the Samara booties by Michael Kors (label) and a lot less expensive. So I ask you, would you choose to purchase the label or go with the for less option? Label: Michael Kors collection, Samara Booties, $450, available at Shopbop. 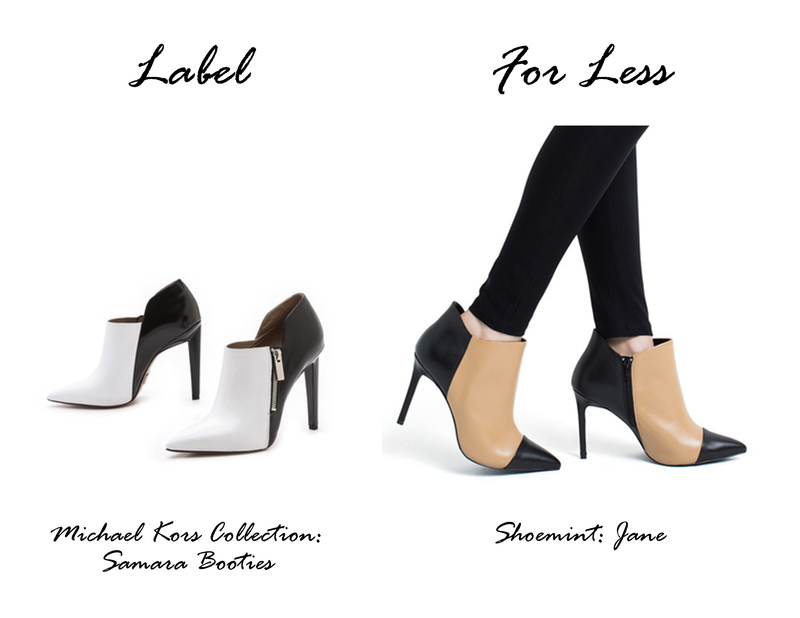 For Less: ShoeMint, Jane bootie, only $109.98.